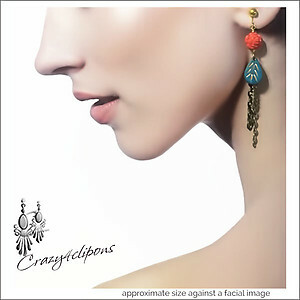 Features: Distressed vintage metal mini drops from India, with bright incisions against a lovely turquoise hue. 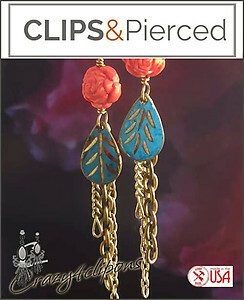 They are paired with plastic carved rosettes and gold toned/antiqued brass chain. The components are so eclectic and yet so light. A beautiful accessory for anyone who loves unique jewelry. 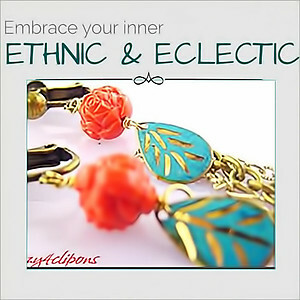 Note: Charms used in this earrings are older and show large amounts of distressed. This is part of the charming final look of the earrings.